Here our white Mini Rex is waiting for the kindergarten classes to arrive and our program to begin! 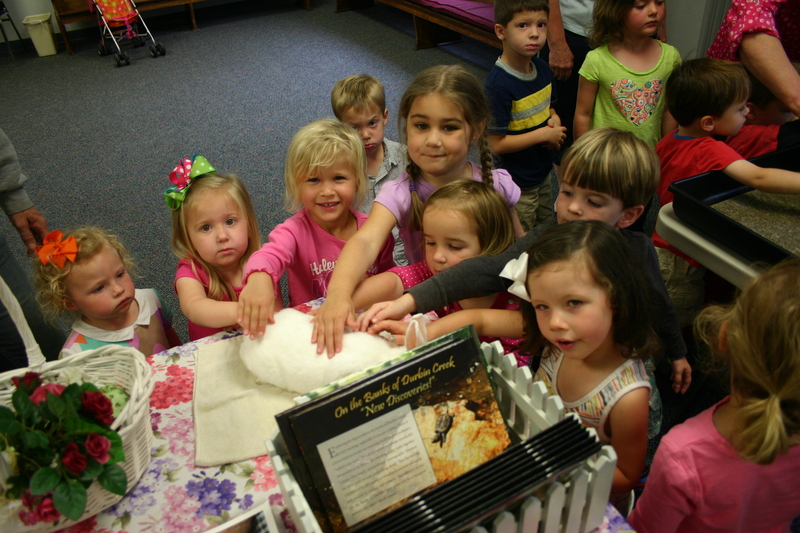 It is always an exciting time to learn with rabbits in the classroom! Children of all ages (even old ones) can be even better readers, writers and illustrators when they are inspired! As a teacher I know the value of establishing a good foundation for children to build their life and future upon! 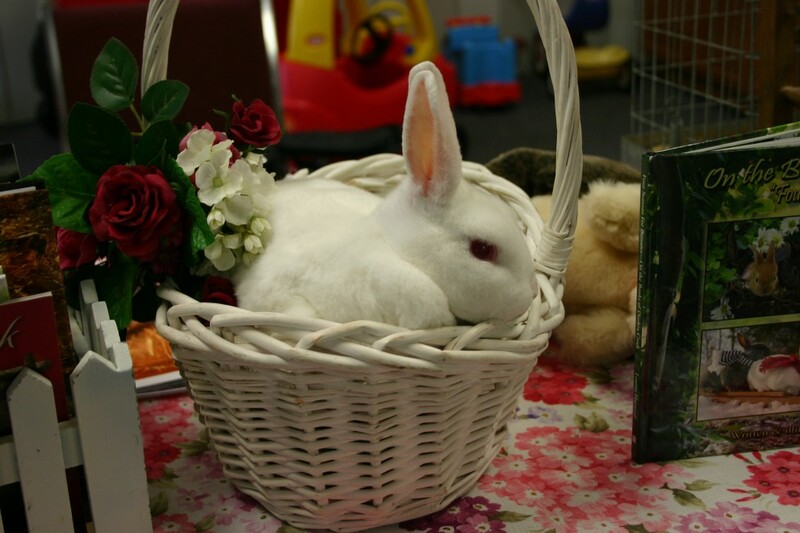 Schools have seen the benefits of our programs in their classrooms and the lasting impressions children have had meeting our rabbits. As a result we are annual visitors to those schools! Now take a closer look!! Truly is one of our Mini Rex rabbits that we raise at our rabbit park! She is as sweet as she looks! A closer look makes a BIG difference! Now we are seeing with our eyes, our ears, our hands…and learn so much more through our senses. 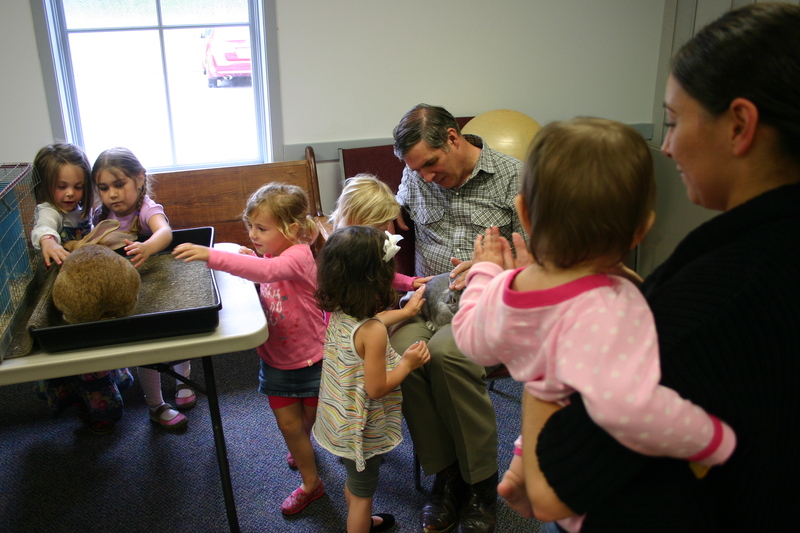 The faces of the children as they visit with our rabbits speak volumes! There are some amazing moments meeting bunnies for the first time! Developing our senses and then the skill of observation is a good beginning. How do you describe rabbits? O…..soft….. There are so many words that describe rabbits! There are so many words we can learn that are about rabbits! Do you have over 100 words in your list? Over 200? Is quiet or amiable on your list? What about unpredictable, impulsive or capricious? What is ARBA? Baby Bunnies Are So Special!